I would just like to introduce you to a very talented lady called Joan Joyce who lives up in North Cumbria (UK), just on the edge of the Lake District. 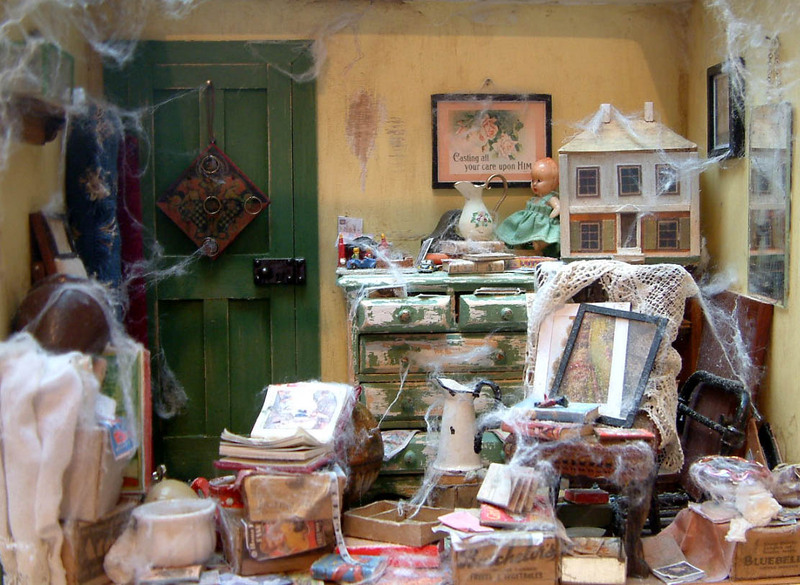 She makes the most charming replica vintage dolls house food. It was after putting a general request out on the DHPP forum for donations in support of the Breast Cancer Campaign Sales Table at Thame Fair, that this lovely lady responded immediately and offered donations. She forwarded some photos of her pledged donations, amongst which were photos of her handmade replica vintage food. What I saw in the photos completely blew me away! Yesterday, the wonderful parcel of donations arrived and the food looks even better “in the flesh”!!! 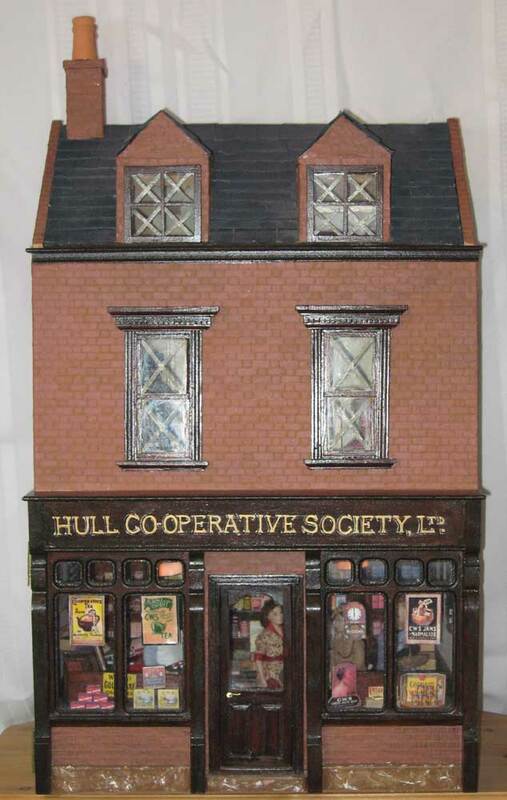 These are not meant to be absolute copies for the modern dolls house market. No..this food is strictly for vintage dolls houses. 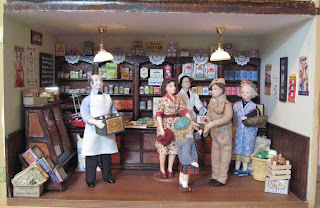 Joan told me that she started making ordinary mini food about 10 years ago for her own dolls houses and friends plus she started selling to a shop in the north of Scotland for a while. 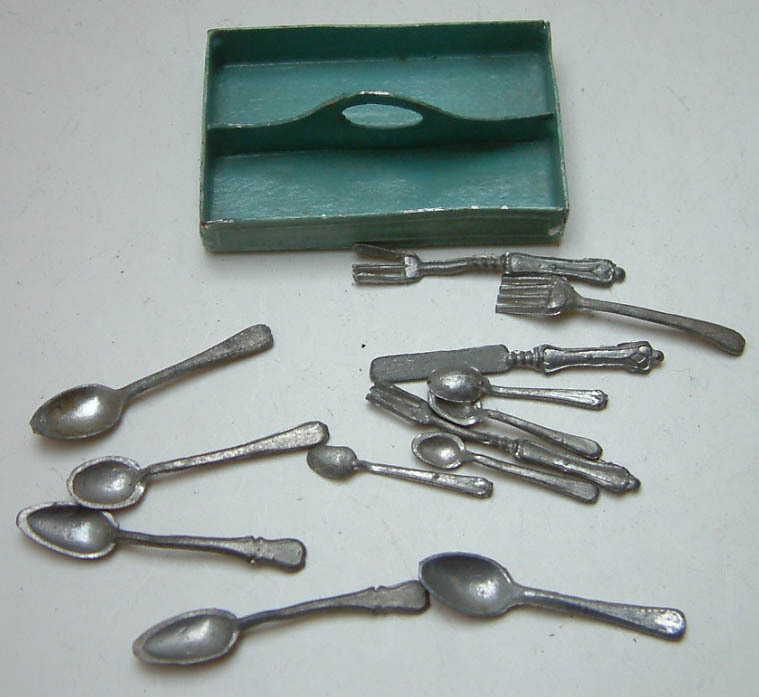 Her favourite era is Victorian through to the 1930s and has loved miniatures since she was a child when she used to save up her pocket money to buy things.....like so many of us did I suspect? 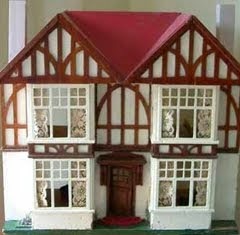 Over the years she has also designed her own dolls houses, many inspired by antique ones...so a clever lady! Then her husband bought her a genuine Edwardian antique house and now she has a 1930s Tri-ang No 60 plus a vintage 1930s homemade house added to her vintage collection. It was when she got her Edwardian house, that she found that she could not afford the high prices that genuine vintage food cost. 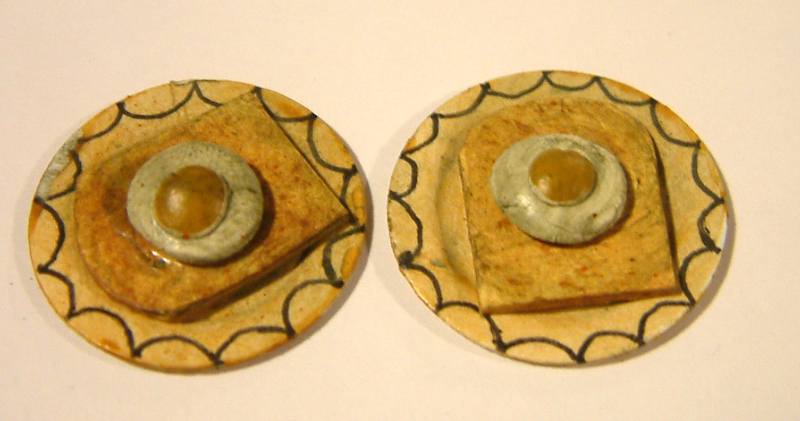 (It is actually becoming extremely hard to get hold of too....I rarely get any in to sell on KT Miniatures)! It was this that gave Joan the idea to replicate the vintage food as she felt that modern polymer food just wouldn’t look right in old houses...I have to say that I agree. Also friends kept asking her where she got this “old” food from, so she realised that there is a market for this replica food. That was a year ago. Just a quick message to say that due to server problems out of my control, not only is KT Miniatures website down (then up for a few minutes) then down again......but I cannot send or receive emails too. Hopefully the server company will pull their finger out and sort out the gremlins soon. So if you are wondering where I have gone or why I have not answered your email.......that is why. Meanwhile, all I can do is apologise and hope that it will be back up asap. 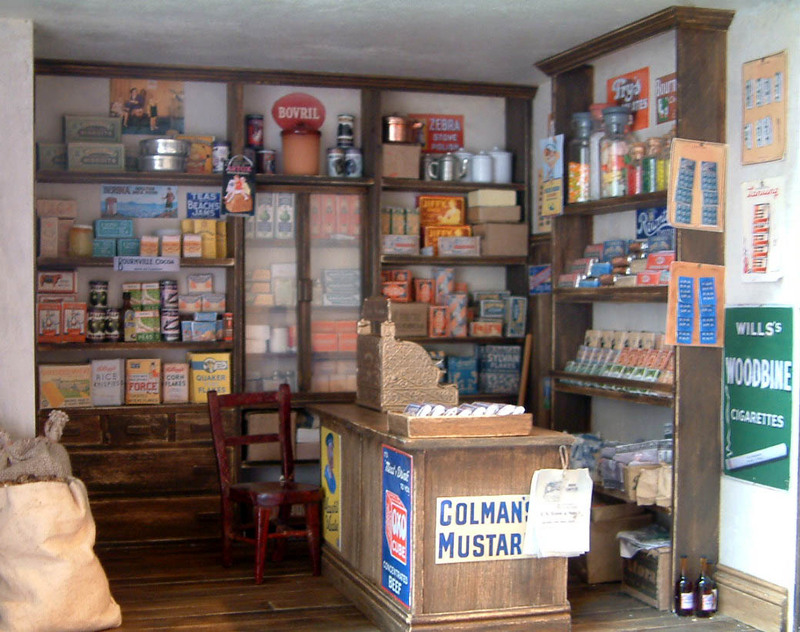 Over the past few weeks I have been beavering away on another commissioned '30s General Stores....my brief being to replicate as near as possible the '30s General Stores you saw on here last year. The very patient lady gave me free reign and absolute trust in me to create this for her. Now, here is the result. I had to change a few bits as I find it impossible to recreate a room box exactly as before, however both I and (I understand) my lovely customer, are very pleased with the results!!! The shelves are laden with 1930s products including grocery, cleaning etc. Most of the packaging I have recreated, after a lot of research. The chair is an antique one (albeit a little battered) but perfect for this scene. Mr Shopkeeper and Mrs Customer are made by the superbly talented and great friend Robin Britton of Coombe Crafts. Her dolls are perfect for this kind of scene as their limbs are fully pliable so can be positioned wherever and however! 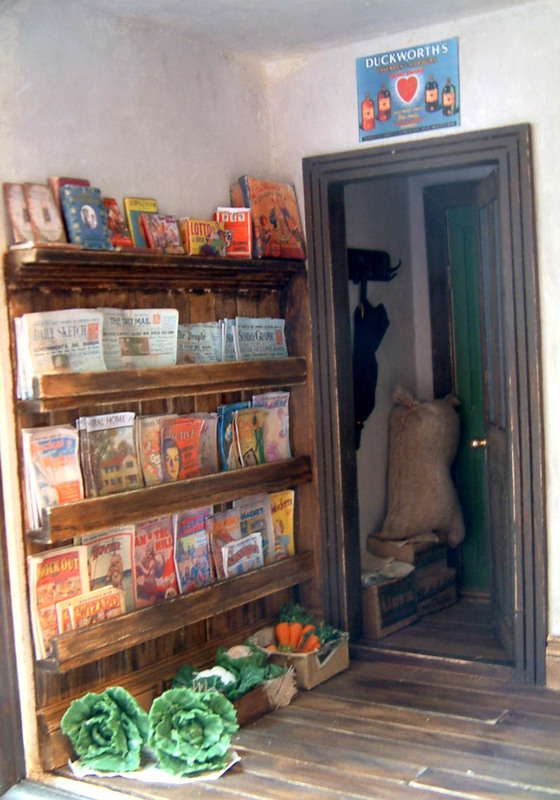 The magazine and newspaper rack has been created differently and much bigger so was able to fit in a lot more vintage ephemera. On the shelf above are childrens books and games. 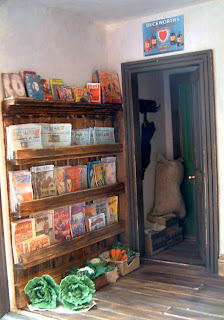 The back lobby with opening door just adds extra interest to this scene. Simple to create but quite effective. In the central back cupboard with removable perspex frontage, are the toiletry & medicinal items. Hope you enjoyed taking a peek. Carrying on with my last posting on here, more 1/24th scale replicas of larger 1/12th creations have just emerged out of my workroom. 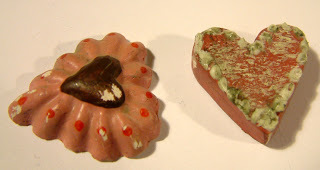 These too will be released for sale at Thame Fair on 19th February. 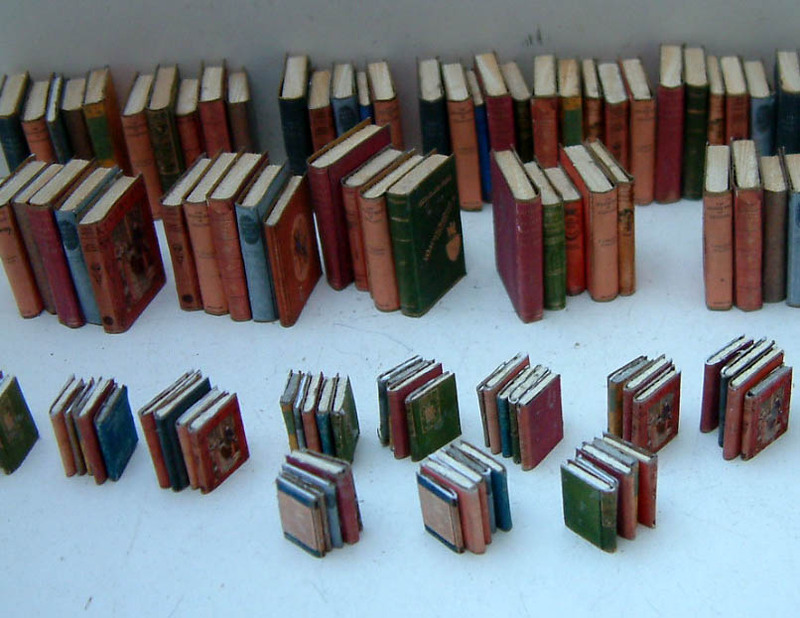 They include boxes of books, all originating from the 1920s/1930s era, available as seen in 1/12th & 1/24th scale. I have also made quite a few sets of five fixed 1920s/30s books in both 1/12th & 1/24th.... this being the first time I have ever attempted to make them in 1/24th scale!!! This tiny scale is truly mind blowing and is taking some getting used to. Visitors to my website today have probably seen the sliding link to the new page just put up live. This is a page that will be continually added to over the next 4 weeks with new creations and vintage/antique stock put aside for the fair. Sorry but for obvious reasons, all listed stock on that page will not be released for sale until the day of the event. After the event, all unsold stock will be put up for sale on my website. 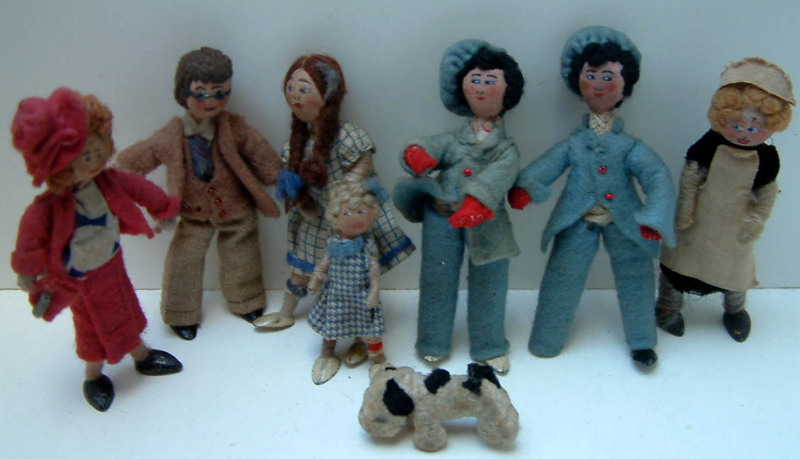 Amongst the items available at Thame Fair will be these gorgeous wartime Grecon dolls and one Tomac doll. I have to admit that these dolls baffled me due to their feet and had initially assumed that they were all Tomac dolls but thank you (as always) to Marion Osborne who has told me that the maid in fact is the only Tomac doll in this group. More about these another day! 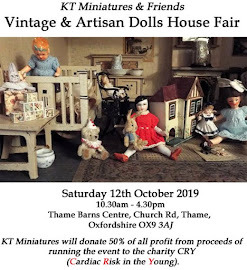 If you are a recipient of my KT Miniatures Newsletter, you will know by now that I will be "making" solidly over the next 4 weeks....right up until Thame Dolls House Fair. 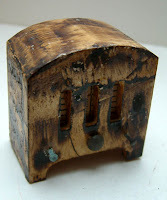 No new handmade stock will be added to my website but all new creations will be kept back for fair stock. Here is just a little taster of what I have been making these past few days..........all to be released for sale at Thame Dolls House & Miniatures Fair on Saturday 19th February. NB. All unsold stock will be placed up for sale on KT Miniatures website the week after this event. But if you can make it to Thame on that day....then DO come...as there are loads of fantastic top quality artisans too plus of course the wonderful Breast Cancer Campaign fund raising attractions (more about those another day)! 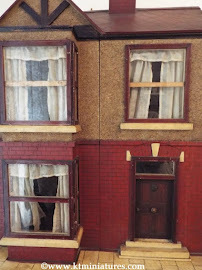 Obviously customers of KT Miniatures will instantly recognise my 1/12th scale food sets (all packaging handmade by yours truly). But no...your eyes are not deceiving you...............must be totally mad but a colleague had asked me to create some 1/24th bits for her.....so hence I gave some other 1/24th bits a go! Yep...here are the first of my 1/24th scale 1930s & 1940s food sets (other 1/24th replicas of some of my 1/12th set pieces are planned). Now hey ho, its back to the workroom I go! Only another 30 or so days to go before the BIG EVENT!!! Freddie had been partying all night and was taking it easy this morning, while some of us were working hard! 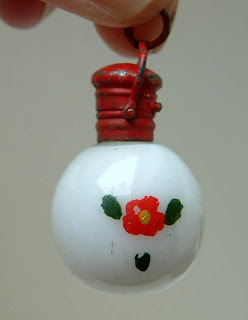 This morning I have just listed some more little 1930s treasures from what I have now nicknamed "The Builders Collection"! 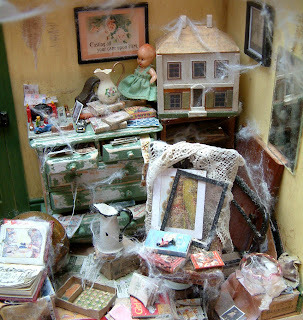 If you read the last blog posting, you will see that a box of dolls house treasures was destined for a builders skip but the chap in question luckily rang me, just on the off chance before the deed was done, to ask if it was just a pile of junk he had there or maybe worth something!!!!!!!!!!! 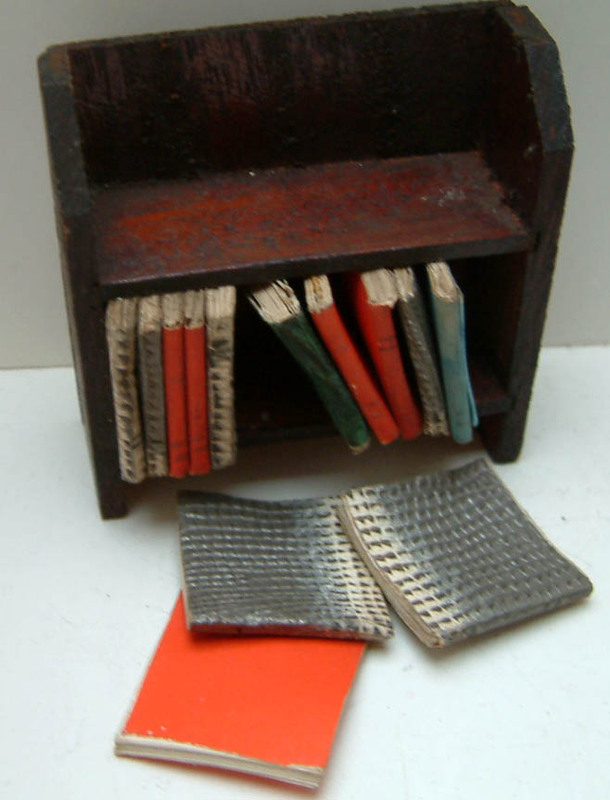 First off, now for sale on the Antique 1/12th Living Room Page is an unusual '30s wooden wireless with an attractive marbled paint finish and a useful wooden bookshelf with 13 books no less. The books all have paper pages but alas no text or pictures....but even so.....lovely!!! For sale on the Antique 1/12th General Page and is one of my favourite pieces from the entire collection.....a rare and truly exquisite glass lampshade with metal hanging fitment. 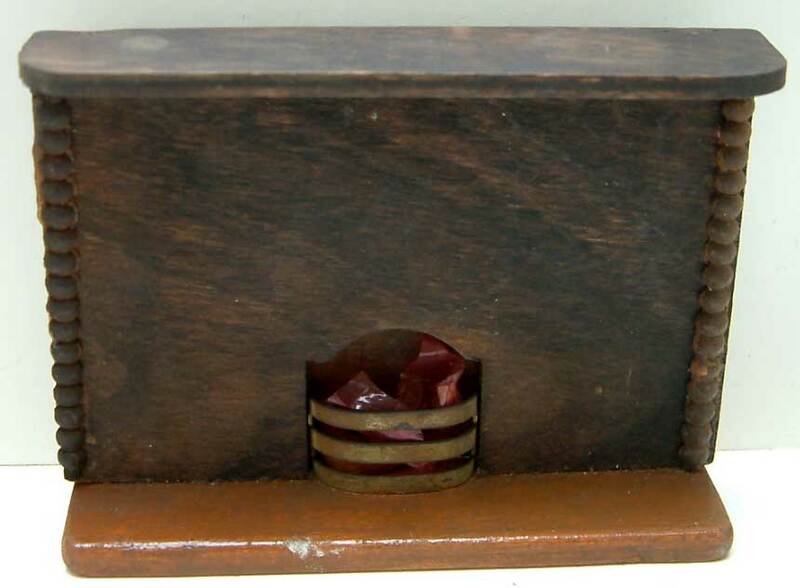 It is a sealed unit so cannot be electrified but would certainly look charming in any vintage dolls house! 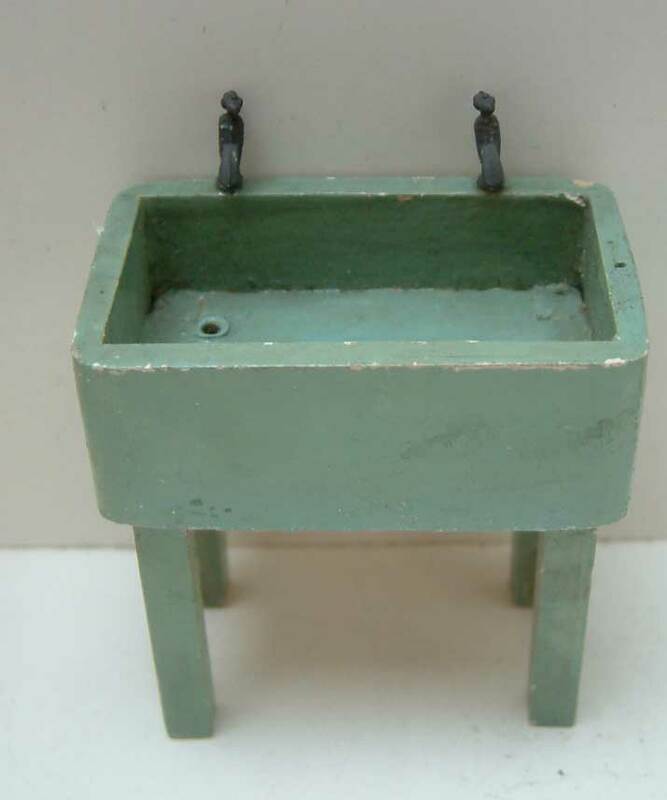 Various kitchenware items can be found on the Antique 1/12th Kitchen Page all originating from the 1930s! 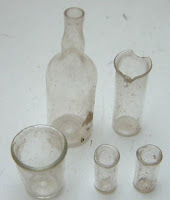 A bottle of Scotch (sorry- is just solid glass and no actual liquid content), a weeny plaster jar of plum jam, a set of glassware including a wonderul bottle, a German metal tray with assorted cutlery and a tin pan set. The cutlery is assorted and obviously made up from various sets because the design on the handles are different but as this is over 70 years old, is amazing how the tiny cutlery is still in existance at all. I have more to load up from this "Builders Collection" over the next few days including some lead gnomes. My research on these gnomes is proving fruitful and hope to introduce you to them on this blog shortly! Well.....the other day I received a phone call from a builder from up north telling me that he had come across a box of old dolls house bits in the attic of an ancient house he was renovating, some with Pit-a-Pat labels on........ he wanted to know if he should chuck it all in the skip or might it be worth a few bob! Umm....well, you can imagine how pleased he was when I proceeded to inform him that far from being a pile of junk, anything with a Pit-a-Pat label on was highly sought after and valuable! Well the box has arrived. I must say there is quite a selection of items. Not just Pit-a-Pat but some kitchenware too plus even Britains Lead Garden pieces....and a first for KT Miniatures.......some larger scale gnomes. (May have to do some research on those, not being a gnome sort of person myself) ..........watch this space!!? The goodies arrived and I have loaded a few Pit-a-Pat pieces up for sale today and as expected, the pieces are being snapped up pretty quick. 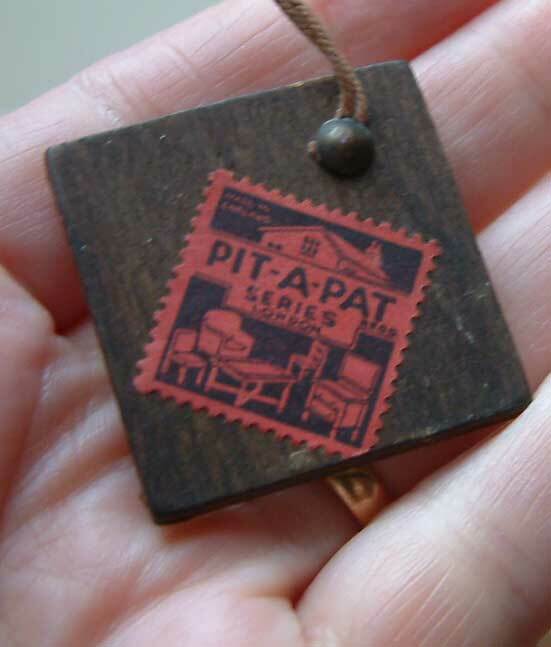 (I shall have considerably more Pit-a-Pat pieces available for purchase at Thame Dolls House & Miniatures Fair on Saturday 19th February). 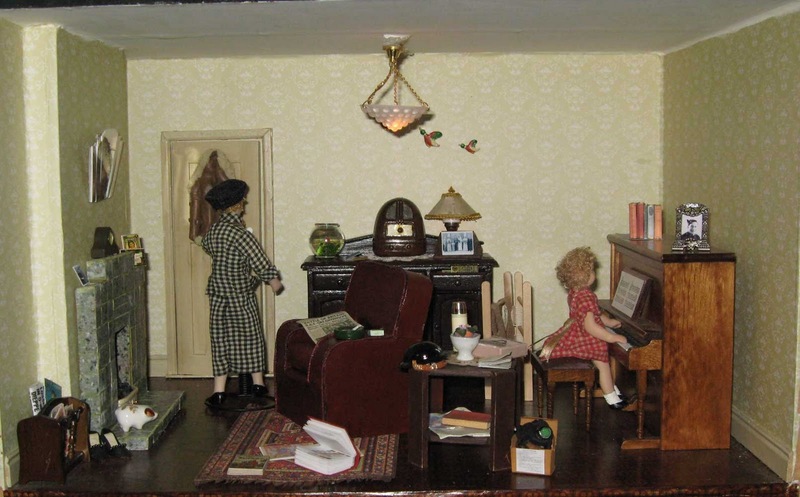 Eric Lehrman was based in London, and manufactured under the name of the “Pit-A-Pat Toy Company” from about 1933 to 1940 and during that time produced at least 130 different items for the dolls house. These items are highly sought after and very collectable. The mirror (top pic) is actually quite rare and does not come along very often. 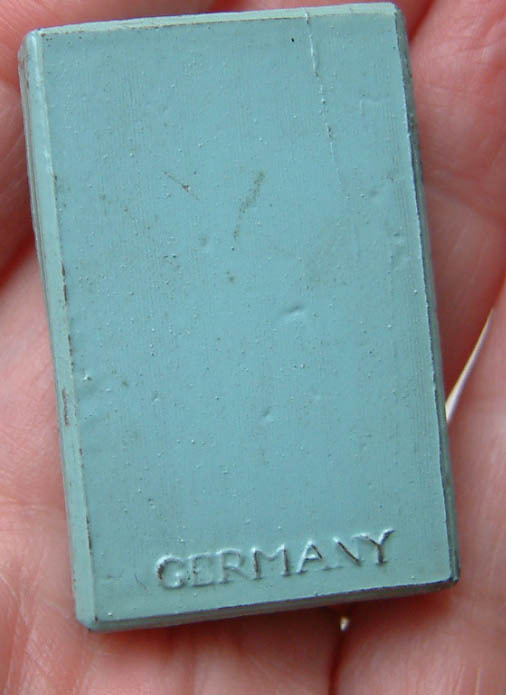 You can see the distinctive red square Pit-a-Pat label on the reverse. 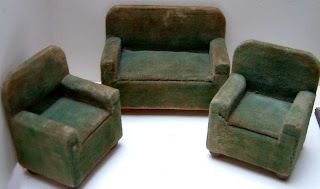 The green velvet suite is in a wonderfully well worn condition (I spend hours making new furniture look old)! Thewooden fireplace has had a wooden hearth added by previous opwner, but this is only held on by two nails underneath and can easily be removed if necessary....I quite like it myself. The sink is another rare item which just does not come along very often, however this is an unusual colour (blue) and I suspect has been overpainted as I have only ever seen them in white. Plus the wooden draining board is missing. However it is refreshing to have the taps intact. I love the Pit-a-Pat pieces......probably because I love the 1930s period and these are all so delightfully 1930s in style! As I load up more goodies from the box over the next couple of days....I will show some more on here. 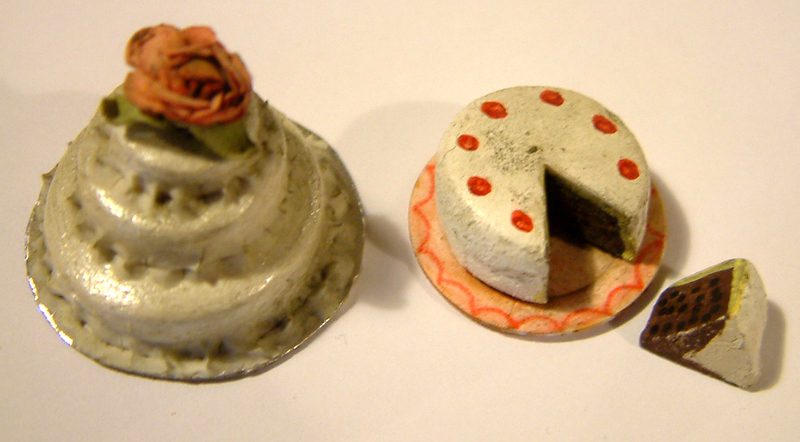 Linda lives in Dorset and has been an enthusiastic customer of KT Miniatures for several years now. 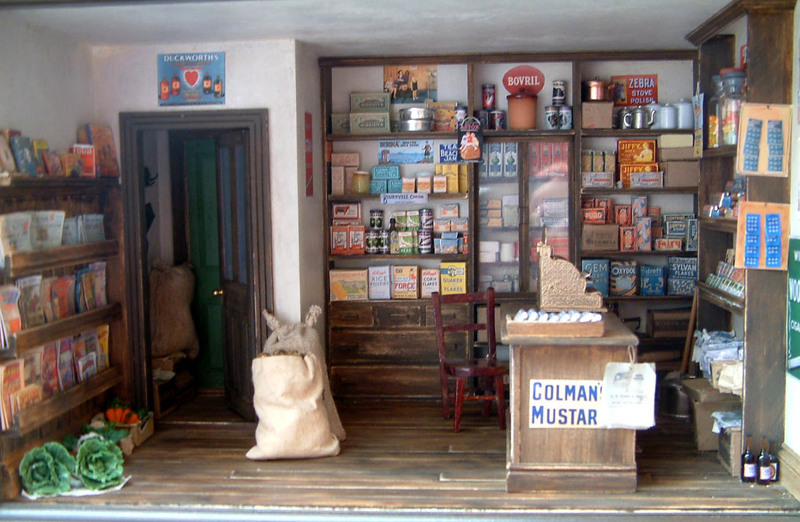 She had mentioned that she was creating a little shop from time to time and now Linda has kindly allowed us to take a peek.... if you are a fan of miniatures & the 1940s era, you will love this! 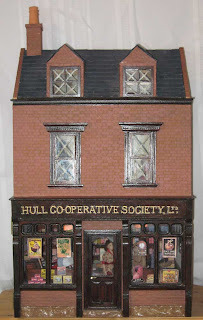 Her mum worked in branch No 45 of the Co-op up in Hull before the war. 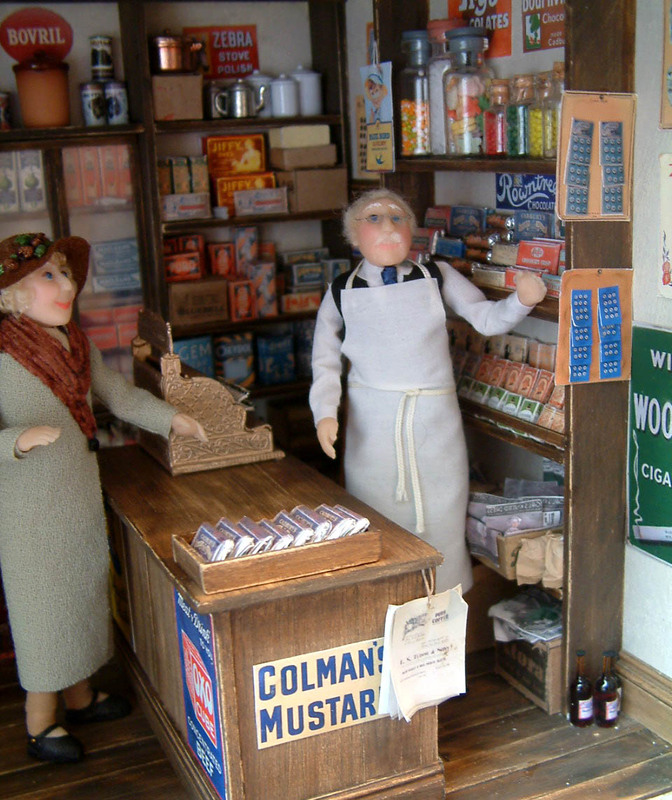 During the war she had to work in ammunitions, then some time after the war she went back to working for the Co-op. Inside the shop Linda has added some lovely touches, such as the little girl who is taking a poppy from a soldier (collection tin is on one of the counters). The lady with the ration book has Linda's mums wartime hairdo! The photos in the living room are scaled down reproductions of her family photos. (Many of Linda's "bits came from KT Miniatures over the years)! 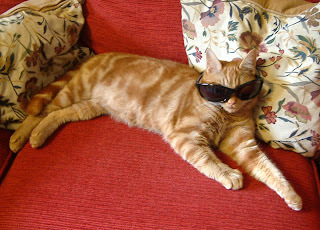 I would just like to wish anyone reading this A HAPPY NEW YEAR for 2011 and hope that you had a wonderful festive break. 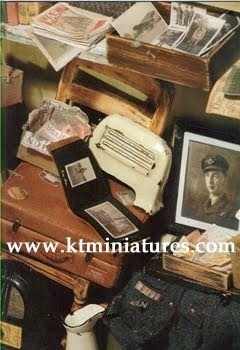 KT Miniatures began in January 1997 which means that 2011 will be my 15th year of trading..... I have to keep pinching myself as I can hardly believe it! When I embarked on KT Miniatures all those years ago changing complete direction jobwise after a career in nursery nursing, creating simple miniatures & room boxes literally off my kitchen table, I had no idea that KT Miniatures would build into the business it is now and that I would still be here, all these years later working full time at a job that I absolutely love. Although I am sure that 2011 will not be without its difficulties for many of us in business, I am forever optimistic and bursting forward with ideas for the new year. I do not open again officially for business until Monday 3rd January, however I have been quietly beavering a little behind the scenes, tweaking my website. 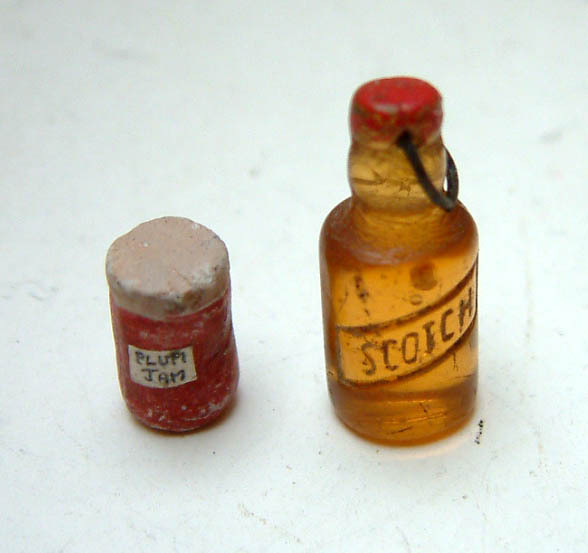 Which leads me onto say that my RECOMMENDED RESOURCES PAGE FOR 1930s/1940s MINIATURES has now gone live! This is something that I have been thinking about for a while, as am frequently asked for information on relevant books, magazines etc. 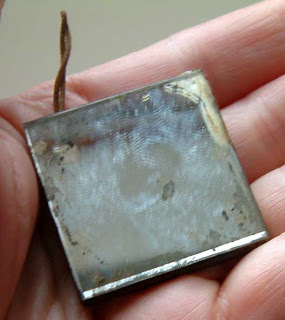 that I could recommend for 1930s/40s projects. 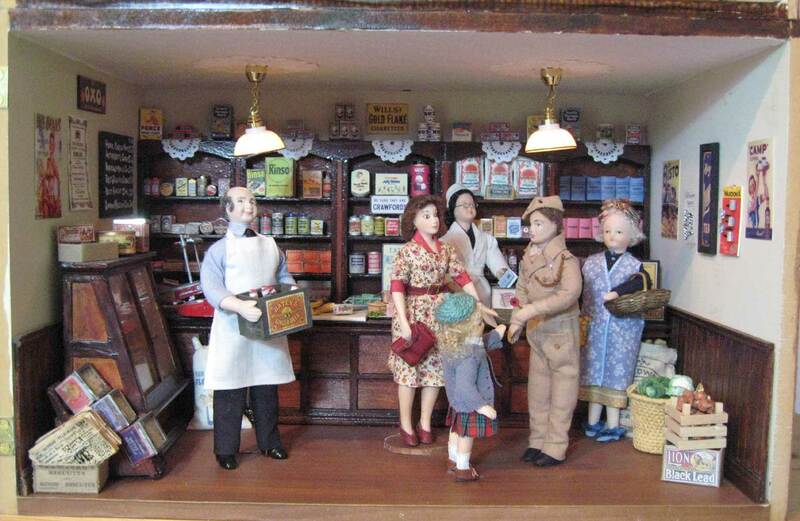 So here you are.......I have compiled a page of information, including amongst other categories, relevant book titles, magazines, UK museums plus various artisans who produce some amazing1930s/1940s miniatures. 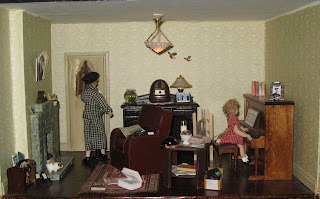 I have even included links to three inspirational online videos, one being the 1940s wartime house that was based on the Channel 4 TV series in 2000. The compilation of suggestions on this page is by no means a definitive list as I aim to add much more as time permits. CLICK HERE to see this latest page on KT Miniatures website. Hope you find it useful and inspirational.